Sketchfab is a platform to publish and share 3D files online in real-time without plugins. It provides a viewer based on the WebGL and WebVR technologies that allow displaying 3D models on the web, to be viewed on any mobile browser, desktop browser or Virtual Reality headset. 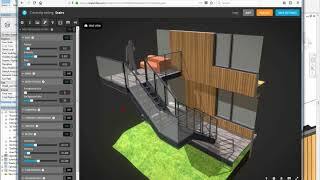 This app enables the user to publish Autodesk® Revit® Models directly to Sketchfab.